Al-Ameen Matriculation Higher Secondary School at Kumbakonam – Thanjavur District -01, the leading Institution with the foresight of creating an innovative child-centered teaching and learning environment, enlightens and recuperates human values in the minds of children. The school is a co-educational English medium school preparing the students on Matriculation curriculum from Classes 1 to 10 and for State Board exams for classes XI and XII respectively. The main objective of our institution is to groom the personality of the student. 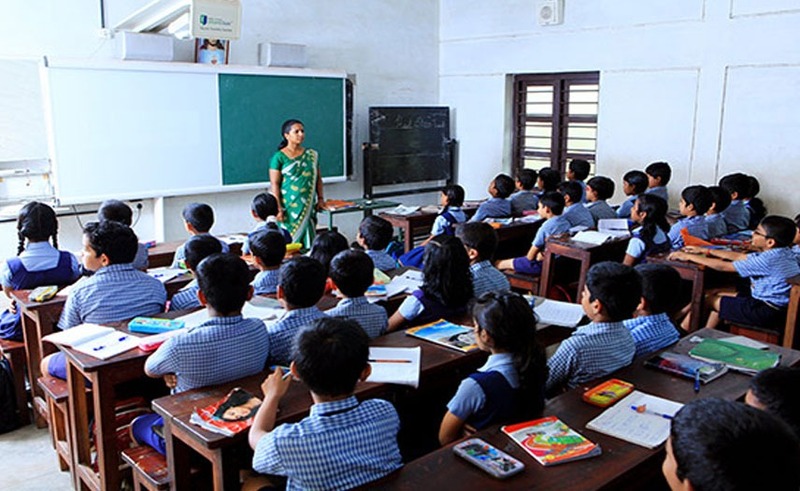 Our institution aims at imparting good education and sound knowledge to the pupils. The school always remembers that the “Battle of Waterloo” was won the playfields of Eton and Harrow. It is very close to the railway station and the new bus stand The southern block of the main school building was constructed in the year 1994 and the northern block in 1997 to meet the growing needs of a developing school. The institution had a very humble beginning in 1969 and today stands tall and proud. The school is a co-educational English medium school preparing the students on Matriculation curriculum from Classes 1 to 10 and for State Board exams for classes XI and XII respectively. Children enjoy their schooling every single day of their presence in our campus. Children’s freedom and space are respected to enable them blossom into well-groomed individuals who can absorb and assimilate knowledge through a process of self-discovery. This institution board of matriculation and it is recognized by the government of Tamil Nadu. Prior to this, its employed the affiliation with the University of Madras. Our vision at Al Ameen Matric Hr. Sec. School is to empower students to acquire, articulate and value knowledge and skills that will support them. The management chose to serve the society by providing education and established Al Ameen Matric. Hr. Sec. School. He believed that knowledge is the core strength of the society. Children enjoy their schooling every single day of their presence at our campus. Children’s freedom and space are respected to enable them blossom into well-groomed individuals. Our aim is to provide a safe and secure environment for our pupils, staff and visitors. Smart Class is a solution designed to help teachers in meeting with new challenges and developing students abilities and performance. Smart Class is an advanced technology implementation for schools. It gives tools and other contents for students learning using the latest media presentations. 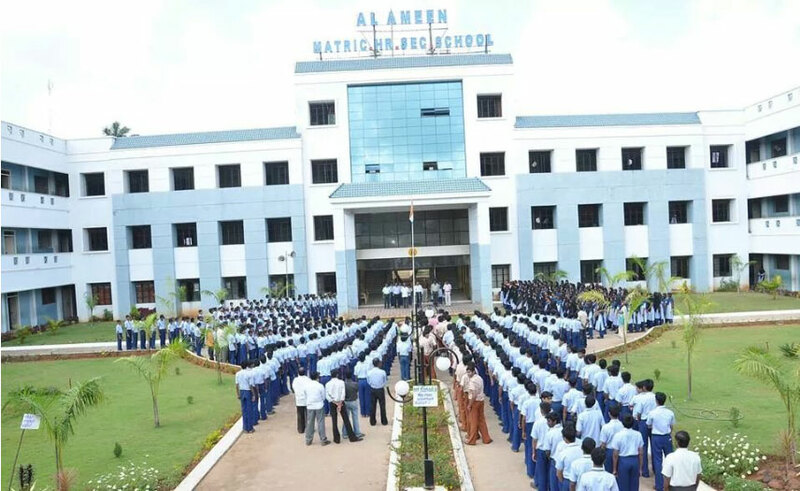 Al-Ameen Matriculation Higher Secondary School at Kumbakonam – Thanjavur District – 01, the leading Institution with the foresight of creating an innovative child-centered teaching and learning environment, enlightens and recuperates human values in the minds of children. The school is a co-educational English medium school preparing the students on Matriculation curriculum from Classes 1 to 10 and for State Board exams for classes XI and XII respectively.